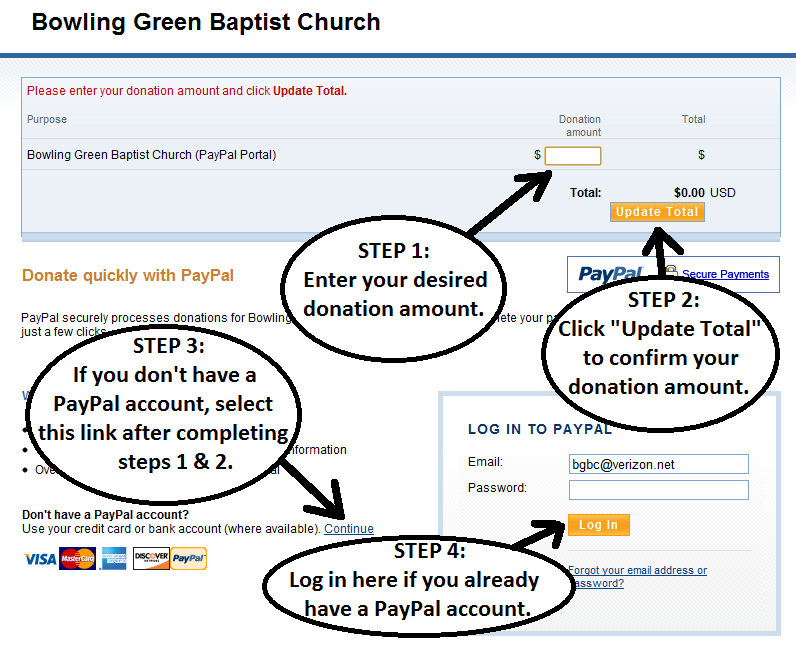 If you would like to process a donation (or tithe) via PayPal, please click the button below! Need help with PayPal? Please see the sample webpage below with 4 easy steps to processing your donation. Copyright Bowling Green Baptist Church, Bowling Green Va.